What is the value of my business? That's the question every business owner wonders from time to time. But the correct answer varies depending on the purpose of the appraisal. Different rules and "standards of value" may apply in different circumstances. Here's a closer look at some of the common reasons to value your business. The first time a valuation need arises is often for general business planning purposes. You might be curious about what your investment is worth in the marketplace and ways to increase its value. Or maybe you're evaluating capital investment options — and you want to rely on more than gut instinct to determine each alternative's long-term impact on cash flows and, ultimately, the value of the business. Unfortunately, many business owners rely on do-it-yourself appraisals for internal decision-making purposes. Often in-house estimates are based on industry rules of thumbs, which can be outdated, ambiguous and oversimplified. A credentialed business valuation professional can help you build forecasting models that management can use to evaluate how changes in various assumptions affect value. He or she can also estimate your company's cost of capital, which you can use to perform discounted cash flow analyses -- or as a "hurdle rate" when evaluating the internal rate of return of various investment alternatives. When valuing a business for internal purposes, you may be interested in how your business would be perceived by hypothetical buyers. If so, fair market value (see box at right) might be relevant. But if you're interested in what it's worth to you or a specific "strategic" buyer, investment value is more relevant. Often strategic buyers are willing to pay a premium above fair market value due to synergies. Estate planning allows families to transition ownership of closely held business interests to the next generation. A series of successive gifts is often used to transfer ownership using a variety of estate planning tools, such as trusts and family limited partnerships. Proactive planning can dramatically reduce the amount of estate taxes your heirs will someday owe. Closely related, of course, is the need for a business valuation when a shareholder dies. IRS and state taxing authorities rely on a "qualified appraisal" by a "qualified appraiser" to determine the value of the business or business interest in the estate. In turn, this value is used to help determine the estate or death taxes for both IRS and state purposes. A credentialed business valuation professional is uniquely suited to prepare a qualified appraisal for gift and estate tax purposes. Here, fair market value is always the appropriate standard of value. Discounts may be available for lack of control and marketability when valuing minority interests. Every business should adopt a buy-sell agreement to avoid potential litigation if the shareholders suddenly disagree or want to exit the business. If one owner dies without an agreement in place, the remaining shareholders may be placed in the awkward position of negotiating with a surviving spouse or other family members. These parameters may differ depending on the triggering event or the size of an ownership interest. For example, a 60% general partner interest may be valued on a controlling basis, whereas a 1% limited partner interest may be valued on a minority, nonmarketable basis. Or a different buyout process may apply when an owner dies than when he or she voluntarily sells stock. Litigation involving the business or its shareholders may necessitate a valuation. Examples include a shareholder's marital dissolution, lost profits claims and shareholder disputes. The appropriate standard of value in these assignments is often defined by statute or legal precedent, which varies from jurisdiction to jurisdiction. For example, valuation discounts may sometimes be considered inequitable when valuing a business interest for divorce or minority shareholder oppression cases. Goodwill also may require special treatment in divorce cases. It's important for your valuation expert and attorney to succinctly define the assignment's parameters to prevent the expert's appraisal conclusion from being attacked by the opposing expert — or excluded from evidence by the court. U.S. Generally Accepted Accounting Principles (GAAP) sometimes require companies to record assets at fair value. For example, if one company acquires another company, it's necessary to allocate the purchase price of the target company to its assets and liabilities for financial reporting purposes. This allocation requires the valuation of identifiable intangible assets that weren't on the target company's balance sheet, such as brands, patents, customer lists and goodwill. Often intangible asset valuations are outside the comfort zone of in-house accounting personnel, so it pays to hire an outside expert who will get it right. 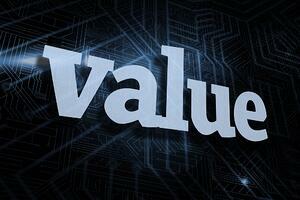 The value of a business varies depending on the purpose of the appraisal. This might seem counterintuitive, but value is case-specific and different "rules" apply in each valuation scenario. These differences explain why clients can't simply reuse old appraisals for new purposes. Different standards of value may apply — or market conditions may change over time. To arrive at the correct answer to the question, "What's the value of my business?" always discuss the intended uses of an appraisal report with your valuation expert. Contact our experienced valuations team for personalized assistance.